As expected, Disney Frozen Snow Glow Elsa doll toy has claimed its spot on the most popular toys for 2018 list. This popular toy which comes with Princess Elsa, Olaf, her snowman friend, Tiara and shoes is best for kids between the age of 3 and 8 years. When Disney Frozen Snow Glow Elsa magical necklace is pressed, she sings movie phrases over and over. She and Olaf make an incredible duet. There are also little bells and whistles that just make this doll adorably sweet. The dress is printed in snowflakes with the front part of the over-skirt and the bodice being covered in glitter. The shoes are removable and pretty detailed. The crown can also be removable if the plastic ties pinning it to her head is clipped. This doll is little more expensive than the non-singing doll. The extra 10 dollars is however well worth it. · No option to turn down the volume; it does not have a volume button. 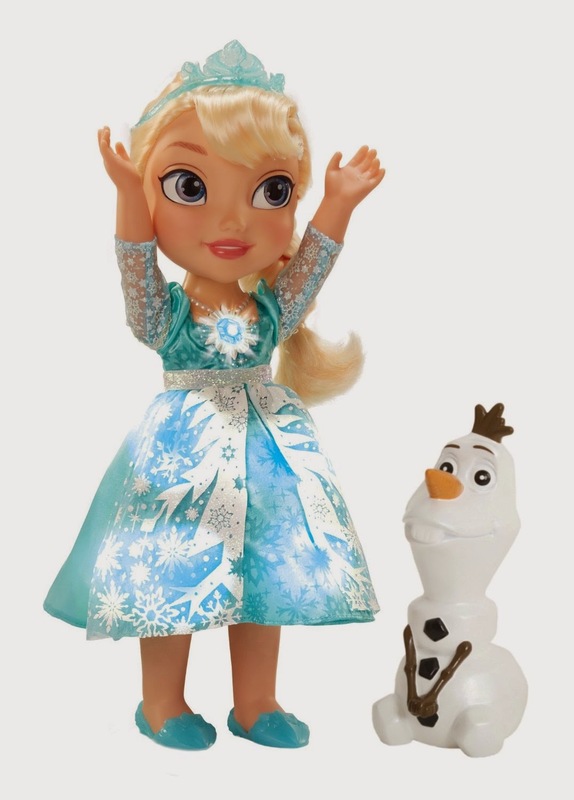 Disney Frozen Snow Glow Elsa doll is one of the best frozen dolls you’ll ever find. It is also very popular and among the top rated dolls for Christmas 2018. It is sure to give any little girl much excitement. Check out the Disney Frozen Snow Glow Elsa doll on Amazon.com now to view more features and read other Customer’s reviews. Please come visit again. The easiest way to do this is to subscribe to this blog. Leave your email address in the dialogue box at the right sidebar and you will receive new posts in your inbox as soon as they are published. You can also follow us on social media by liking our Facebook page and following us on Twitter.